People are out and about! Summer holidays mean that people have more time to devote to buying a home and, for parents of school age children, moving in the summer offers an easier transition for families changing neighbourhoods/schools. 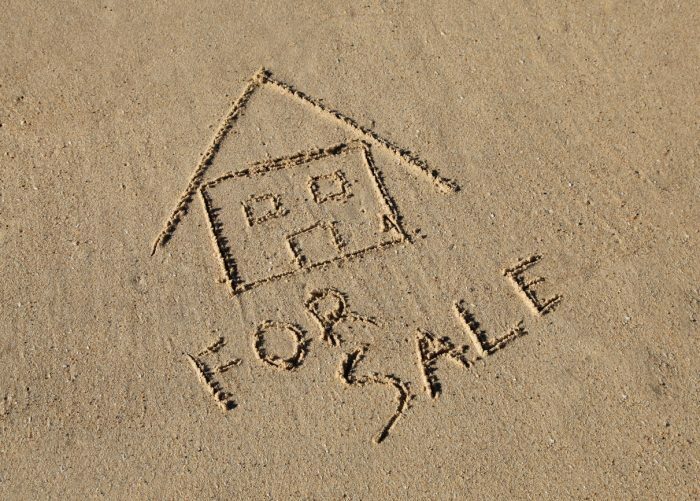 Selling your home in summer may also give you more time to devote to preparing your home – it’s a win-win! The Ottawa real estate market remains strong and steady with June stats showing an average price increase of over 7% year over year. Inventory is down over 25% from this time last year, and with fewer homes for buyers to choose and an increase in multiple offer situations it’s a great time to get your home on the market. Setting the right price for your home can be one of the hardest parts of selling, but fortunately there are resources available to you. Contact a Realtor to provide you with a list of comparable properties. A professionally-prepared current market analysis will include homes that are currently offered for sale and properties that have sold, including the sale price and number of days on market. This information that is essential in determining the list price that will get you top dollar. At Royal LePage, our Realtors provide a complimentary, no obligation consultation for Sellers. Looking at similar properties may also give you a few ideas when it comes to staging. If you see something that works in another house, don’t be afraid to borrow the idea for yours. Pinterest is also an amazing resource for DIY projects and design inspiration. You surely love all the unique touches that go into making your house a home, but the point of selling it is to have someone else make it their home. When setting up your house for sale, make sure to tone down the elements that you think might turn potential buyers away. De-cluttering, making sure you’re up to date with home maintenance/repairs and a adding a fresh coat of paint, are just a few ways you can make your house a little more welcoming to people who are looking to make it their own. While the idea of “dressing up” your outdoor space with a garden gnome in every corner might attract some attention (see the “Clown House” for sale earlier this year in Brantford) clean details, practical storage, comfortable seating and a pop of colour are the fundamentals of an inviting outdoor space, simple is best! Easy access from indoor to outdoor can also help make your home feel bigger and brighter! More than at any other time, curb appeal is important to selling a house in the summer. When you have a house for sale, make sure you keep the lawn mowed, free of mess, and well pruned. Adding a few bushes, flower beds, or small decorative items is another good way to draw people’s attention. With lots of people out walking, biking, or running during the summer, you want your house to attract the attention of anyone passing by. Although people have more free time during the summer than at other times, they are also likely taking vacations or spending time doing activities around town. Making the hours of your open house showings flexible will let interested people see the property without disrupting their own schedules, and also suggests that you are someone who is truly dedicated to selling your house and is open to communicating with people who want to buy it. These are both things that are attractive to potential home buyers. Summer is a great time of year, and you can make your house seem more energized and exciting by keeping summer in mind when you prepare your house for showings. A few, well chosen bright colours can help, as can a few metallic accents. Offering summer drinks or snacks to potential buyers will help them feel comfortable in the house, which makes them more open to the idea of buying it. Possibly the most important thing is to let summer light in, but keep the hot air out. No one wants to buy a house that is hot and stuffy. Happy summer and happy selling! The post Selling in the Summer appeared first on Team Realty.